Buried tanks have an upward pressure from the ground and need to be designed not to float. Frost heave is another factor that can cause tanks to rise up through the surface of the ground. 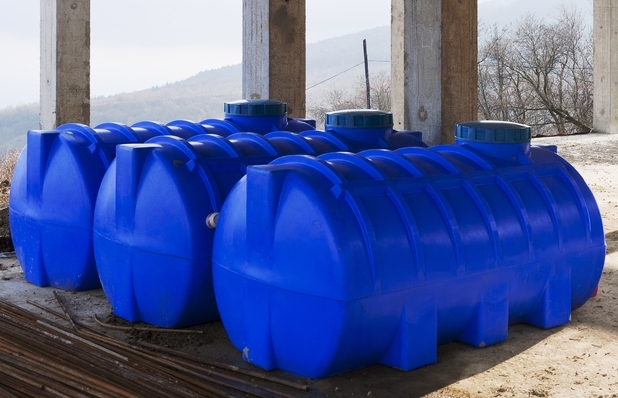 Lightweight or moulded tanks can have so much buoyancy that they must be restrained to a foundation. Many tanks are back-filled with concrete and they have to be partly filled with water as the concrete is poured, to prevent them floating. This is not a difficult deign calculation, but we need to know the typical ground conditions. These allow Coupland Bell consultants to predict the ground pressure and the friction force holding the tank down. Our consultants use civil engineering data to predict the pressure and friction factors. Having predicted the flotation force, our consultants can say whether restraining anchors are necessary. Finite element analysis may be needed to provide an adequate factor of safety in the design of the tank itself. Mechanical Engineering Design Calculations by UK consultants Coupland Bell of Tank Floatation.